A Baltimore County charter school designed to get children outside into an environment of streams, woods and fields is expected to open next fall in Woodlawn, despite initial difficulties in gaining county school board approval. The two founders — both parents with children who would attend the school — visualize students exploring a campus with an orchard, gardens and a chicken coop, as well as natural spaces. The school is part of a nature-based movement in education that places emphasis on the notion that children shouldn’t spend their days on a computer or stuck inside. The school would be Baltimore County’s only current charter school, and only the second to gain approval in the years since Maryland passed a law in 2003 allowing charter schools. Unlike the city, where there are 34 charter schools that have proliferated over the past two decades, Baltimore County’s school board and administration have received few such applications to consider. The school board initially denied Watershed a charter on May 8, but that decision was reversed Sept. 25 by the Maryland State School Board after an appeal by Watershed. 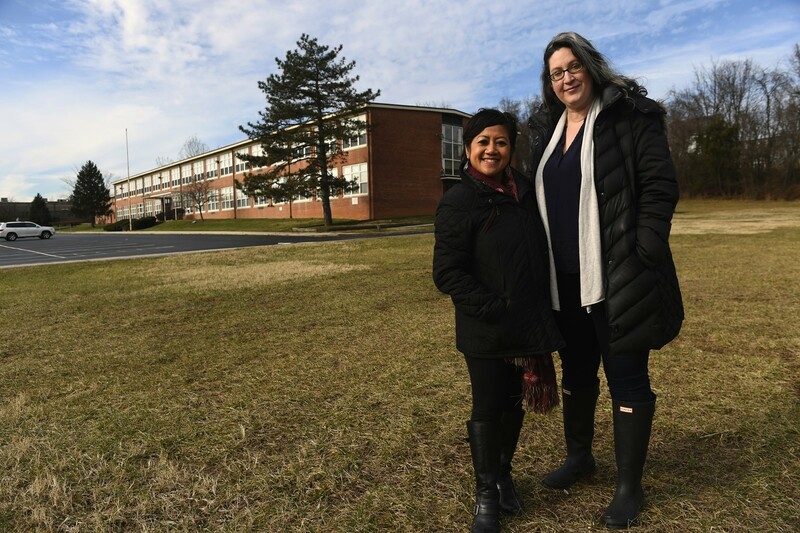 Watershed’s founders, Jessie Lehson and Casey McDonough, said the the school intends to sign a lease to use a former Catholic school, John Paul Regional on Dogwood Road in Windsor Mill. The school, closed by the Baltimore Archdiocese in 2017, includes 10 acres of woods, fields and a stream, as well as 33,000 square feet of building space, which is enough for an elementary school. Lehson said the school will open in the fall of 2019 with 176 students in kindergarten through third grade, and continue to add a grade each year until it is an elementary/middle school. The school is already accepting applications on its website. If there are more applicants than seats, the school will hold a lottery, as is common with charters across the state. Charter schools are privately run, publicly funded schools. Unlike standard public schools, Watershed will be open to all students in the county, regardless of where they live. Parents will be responsible for transporting their children to school, although Lehson hopes the school can arrange carpools for families who live on the other side of the county. Centering the school in Woodlawn, Lehson said, allows it to pull from a range of students, including the overcrowded elementary schools of Featherbed and Johnnycake, as well as families around the county who would like a different type of school. The school system does not believe the new school will have enough seats to reduce the overcrowding in the area, according to Brandon Oland, a sytsem spokesman. Each grade will have two classes of 22 students, who will use a curriculum being written by the school’s founders. Watershed currently has a provisional charter from Baltimore County Public Schools that allows the founders to begin the process of opening a school, contingent on the school system approving the facility. The two sides have until Jan. 19 to sign an agreement that gives the school a permanent charter to operate, but there are still hurdles the school must clear to open. Oland said school officials have toured the new facility but must ensure that it meets minimum criteria. “We continue to work with Watershed as to whether the facility will be suitable for instruction. That is a work in progress,” he said. The school’s funding — now estimated by the county at $11,374 per pupil — will come from the school system’s budget and is still being finalized. The amount will vary depending on the school budget and whether the school asks the county to provide certain services, such lunches, to its students. Watershed’s principal and teachers must meet the same standards as their counterparts in other public schools. The teachers will be Baltimore County public school teachers, and part of the union. A candidate who isn’t an employee of the school system can apply for the job, he said. Watershed’s founders hope to attract families who are eager to have their children take part in a more hands-on, experiential curriculum that tries to meld different disciplines in lessons. In founding Watershed, Lehson and McDonough wanted options not found in the public schools for their children. Watershed Public Charter is part of a growing number of schools around the country trying to give students more outdoor experiences. Katie Rooney, director of early childhood education at the Irvine Nature Center in Owings Mills, was excited to hear the school might open because Irvine’s pre-school has a similar philosophy. “There is a growing movement not only in our own country but internationally to get kids back outside. Birth to high school, there are more and more nature-based schools opening up across the country,” Rooney said. In addition, more public schools are creating green spaces that can be used during the school day. The movement comes, Rooney said, after concern that recent generations of children have not experienced the long days of playing outside in the neighborhood that used to be so common. Young children are now more focused on academics earlier, stay inside more and have learned less through pure play. They also live in worlds saturated with technology, she said. “Children need to think creatively as well as to have an opportunity to come up with their own ideas on play,” Rooney said. The natural environment abounds in items such as sticks, stones, feathers, mud and water that children can use to think creatively. A stick can be a magical wand or a conductor’s baton. Stones can be used to learn to count. That doesn’t mean that children will spend all day outside. Instead, Lehson said, teachers will take advantage of the outdoor spaces whenever they are able to make it work.